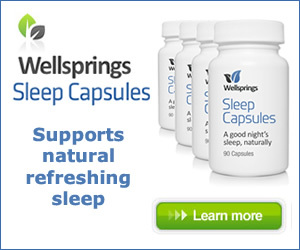 Can Melatonin and 5-HTP Help You Sleep? Bioidentical progesterone helps relax you and improve your sleep, but if you need some extra help then Dr Mercola has some suggestions for you. However, if you feel like you’ve tried virtually everything and you’re still struggling to get a restful night’s sleep, it might be time to consider two natural supplements, melatonin and 5-hydroxytryptophan (5-HTP). Your brain typically starts secreting the hormone melatonin around 9 or 10 p.m., which makes you sleepy. These regularly occurring secretions help regulate your sleep cycle as well as provide other important health benefits, including helping to prevent cancer. Melatonin is produced by a pea-sized gland in the middle of your brain called the pineal gland. In a normal night’s sleep, your melatonin levels stay elevated for about 12 hours. Then, as the sun rises, your pineal gland reduces your production of melatonin, and the levels in your blood decrease until they’re hardly measurable at all. When your circadian rhythms are disrupted, such as from shift work, jet lag or nighttime light exposure, your body produces less melatonin. Melatonin deficiency may come with some profound biological disadvantages, such as higher levels of inflammation, a weakened immune system, and an increased risk of cancer. Who May Benefit From Melatonin Supplements? It is best to encourage your body to produce its own melatonin. Your pineal gland produces melatonin roughly in approximation to the contrast of bright sun exposure in the day and complete darkness at night. If you are in darkness all day long, it can’t appreciate the difference and will not optimize your melatonin production. So one of the best ways to increase your melatonin production naturally is to get exposure to bright sunlight during the day and sleep in complete blackness at night. Supplementation may be beneficial in some cases, particularly if your circadian rhythm is off (such as from jet lag). In a Cochrane review that analyzed 10 randomized trials, melatonin significantly reduced or prevented jet lag when taken close to the target bedtime at the destination. The researchers recommended melatonin for adult travelers flying across five or more time zones, particularly in the eastern direction, and, if necessary, for those flying across two to four time zones. “The internal or biological clock which is located in the suprachiasmatic nuclei of the anterior hypothalamus is controlled by clock genes and environmental factors which are able to synchronize the clock to 24h. Rhythm desynchronization (shiftwork and nightwork, transmeridian flights, aging, some psychiatric diseases, blindness, intake of some drugs … ) occurs when the internal clock does no longer work in harmony with the astronomical time i.e. our watch. The circadian system consists of three major elements, which are the clock, the retinohypothalamic tract and melatonin which is secreted by the pineal gland and considered as the arrow of the clock. In a study looking into the use of melatonin for primary sleep disorders, the supplement also appeared safe and effective, working to decrease the time it takes to fall asleep and improve total sleep time and quality. Keep in mind that only a very small dose is required — typically 0.25 mg or 0.5 mg to start with, and you can adjust it up from there. Taking higher doses, such as 3 mg, can sometimes make you more wakeful instead of sleepier, so adjust your dose carefully and, ideally, under the guidance of a holistic health care practitioner. In addition, melatonin supplementation may be most effective in people with low melatonin levels. If your levels are optimized, you may not experience additional sleep benefits from added supplementation. What Is 5-HTP and How Does It Affect Sleep? Your body produces 5-HTP (5-hydroxytryptophan) from the amino acid tryptophan (found in foods like poultry, eggs and cheese). However, eating tryptophan-rich foods is not likely to significantly increase your 5-HTP levels, so 5-HTP supplements (which are made from extracts of the seeds of the African tree Griffonia simplicifolia) are sometimes used. The chemical 5-HTP works in your brain and central nervous system by promoting the production of the neurotransmitter serotonin, and thereby may help boost mood and enhance sleep. There may be some beneficial “side effects” to 5-HTP as well. Research suggests the supplement naturally reduces appetite and food intake (including reduced carbohydrate consumption) and is associated with significant weight loss. Another study found 5-HTP led to significant improvements in symptoms of fibromyalgia as well, with only mild and transient side effects reported.9 The anti-depressant properties of 5-HTP are also of interest, and preliminary research suggests it may work as well as certain antidepressants in people with mild to moderate depression. If you need more sleep, I suggest you read through my full set of 33 healthy sleep guidelines for details on proper sleep hygiene, but to start, consider implementing the following changes. If you’ve tried these steps and are still having trouble sleeping, you may want to consider melatonin or 5-HTP. – Make sure you get BRIGHT sun exposure regularly. Your pineal gland produces melatonin roughly in approximation to the contrast of bright sun exposure in the day and complete darkness at night. If you are in darkness all day long, it can’t appreciate the difference and will not optimize your melatonin production. – Sleep in complete darkness, or as close to it as possible. The slightest bit of light in your bedroom can disrupt your body’s clock and your pineal gland’s melatonin production. Even the tiniest glow from your clock radio could be interfering with your sleep, so cover your radio up at night or get rid of it altogether. – Move all electrical devices at least 3 feet away from your bed. You may want to cover your windows with drapes or blackout shades. If this isn’t possible, wear an eye mask. – Install a low-wattage yellow, orange, or red light bulb if you need a source of light for navigation at night. Light in these bandwidths does not shut down melatonin production in the way that white and blue bandwidth light does. Salt lamps are handy for this purpose. You can also download a free application called f.lux that automatically dims your monitor or screens14 or use blue-light-blocking glasses. – Keep the temperature in your bedroom no higher than 70 degrees F. Many people keep their homes too warm (particularly their upstairs bedrooms). Studies show that the optimal room temperature for sleep is between 60 to 68 degrees F.
• Take a hot bath 90 to 120 minutes before bedtime. This increases your core body temperature, and when you get out of the bath it abruptly drops, signaling your body that you are ready to sleep. – Avoid using loud alarm clocks. Being jolted awake each morning can be very stressful. 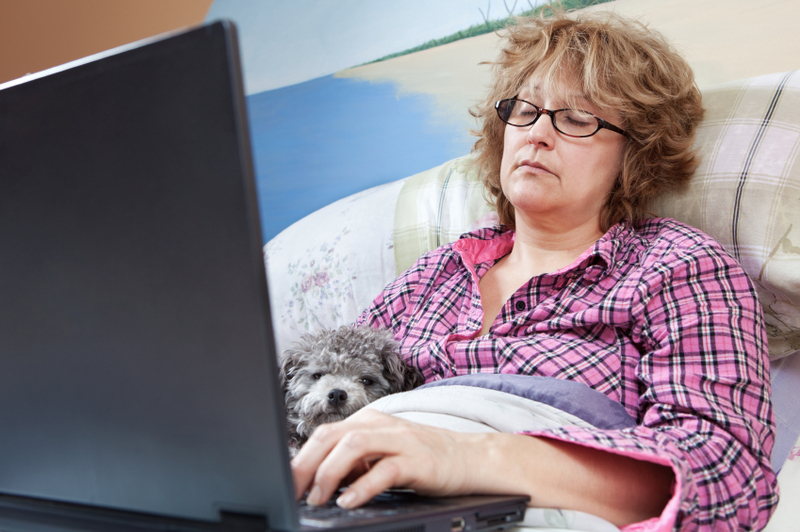 If you are regularly getting enough sleep, you might not even need an alarm. – Get some sun in the morning, if possible. Your circadian system needs bright light to reset itself. Ten to 15 minutes of morning sunlight will send a strong message to your internal clock that day has arrived, making it less likely to be confused by weaker light signals during the night. More sunlight exposure is required as you age. – Be mindful of electromagnetic fields (EMFs) in your bedroom. EMFs can disrupt your pineal gland and its melatonin production, and may have other negative biological effects as well. A gauss meter is required if you want to measure EMF levels in various areas of your home. Ideally, you should turn off any wireless router while you are sleeping. You don’t need the Internet on when you are asleep. Anxiety is very much tied to sleep problems, that plus the hormone fluctuations at menopause which can really disturb your night’s rest, and so rebalancing your hormones naturally with bioidentical progesterone can help you.